To choose between conventional and surgical treatment is sometimes a dilemma faced by many clinicians. Modern endodontic therapy can achieve success predictably. Molar surgery is not so simple and the alternative methods have to be well evaluated and recommended. 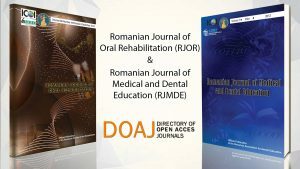 The purpose of this work was to compare the clinical and radiographic outcomes of nonsurgical treatment with those of endodontic surgery to determine what modalities offer more favourable outcomes into molars in a period of 4 years follow up. The modern endodontic therapy using ultrasound irrigation showed that healing process occurred in 95% of the treated molars compared to apicectomy or traditional endodontic therapy where only 89% or 86% of the molars presented no sign of relapse after 4 years. RJOR.RO utilizeaza fisiere de tip cookie pentru a personaliza si imbunatati experienta ta pe Website-ul nostru. 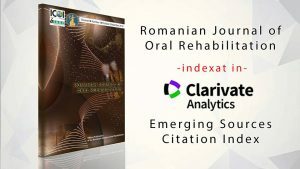 Te informam ca ne-am actualizat politicile pentru a integra in acestea si in activitatea curenta a adre.ro cele mai recente modificari propuse de Regulamentul (UE) 2016/679 privind protectia persoanelor fizice in ceea ce priveste prelucrarea datelor cu caracter personal si privind libera circulatie a acestor date. inainte de a continua navigarea pe Website-ul nostru te rugam sa aloci timpul necesar pentru a citi si intelege continutul Politicii de Cookie. Prin continuarea navigarii pe Website-ul nostru confirmi acceptarea utilizarii fisierelor de tip cookie conform Politicii de Cookie. Nu uita totusi ca poti modifica in orice moment setarile acestor fisiere cookie urmand instructiunile din Politica de Cookie The cookie settings on this website are set to "allow cookies" to give you the best browsing experience possible. If you continue to use this website without changing your cookie settings or you click "Accept" below then you are consenting to this.